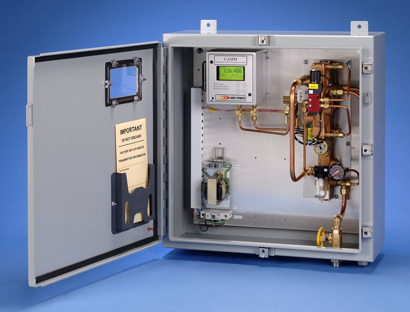 Air Monitor has over 40 years of experience providing airflow measurement and control systems. 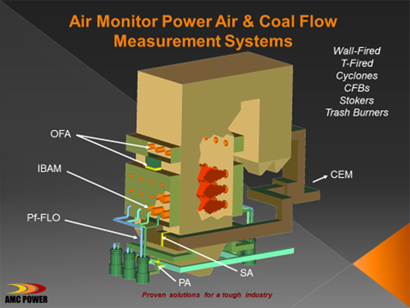 Over the past 20 years Air Monitor has pioneered combustion airflow measurement for utility and industrial boiler applications. 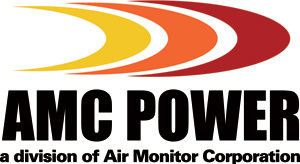 AMC Power Division provides engineered systems specifically designed for the Power Industry to measure primary, secondary and overfire air, FGR and individual burner airflow measurement. One of Air Monitors most exciting products is Pf-FLOTM, which measures the pulverized coal being transported from a mill to each burner, allowing for optimum burner balancing. Each plant application will entail up-front engineering support as well as on site start-up assistance and training.